My life-long admiration for George Washington has been increasing exponentially. This past summer, I finished the book The Quartet: Orchestrating the Second American Revolution, 1783-1789 by Joseph Ellis. His narrative centers on the four individuals brought the confederation of states together into a nation during the 1787 Constitutional Convention: Alexander Hamilton, John Jay, James Madison and, most important, George Washington. In recounting how Hamilton and Madison prepared the groundwork for the Constitutional Convention, Ellis details how they strategized and recruited Washington to preside over the Convention. Both knew that Washington’s reputation and his relationship with the delegates to the Convention was critical to its success. They knew that of the 55 delegates who attended the Constitutional Convention, at least 29 had served in the Continental forces, most of them in positions of command. In The Quartet, Ellis acknowledges that Washington’s military leadership had been proven during the American Revolution, but he also provides another example of Washington’s deft touch at command off the battlefield. This amazing event Ellis relates deals with an uprising in Newburgh, New York, in March of 1783 led by Continental Army officers, that nearly brought the newly liberated country to a halt. This incident, known as the Newburgh Conspiracy, developed when the unpaid officers circulated an anonymous letter that suggested officers should riot in New York City, a dangerous challenge to the authority of the Confederation Congress. When Washington learned about the letter, he expressed his objections to the “disorderly” and “irregular” nature of the officers’ meeting. He sent word that he would meet with them on 15th. The officers in attendance respected Washington. They had counted on his sympathies, and they were quickly humbled by his unwavering commitment to the nation. But then came that moment…. 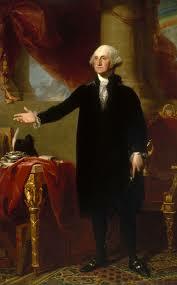 That moment when Washington changed the course of events. After reading his own speech, Washington then attempted to tried to read a letter from a Congressman from Virginia that supported the officers’ demands. 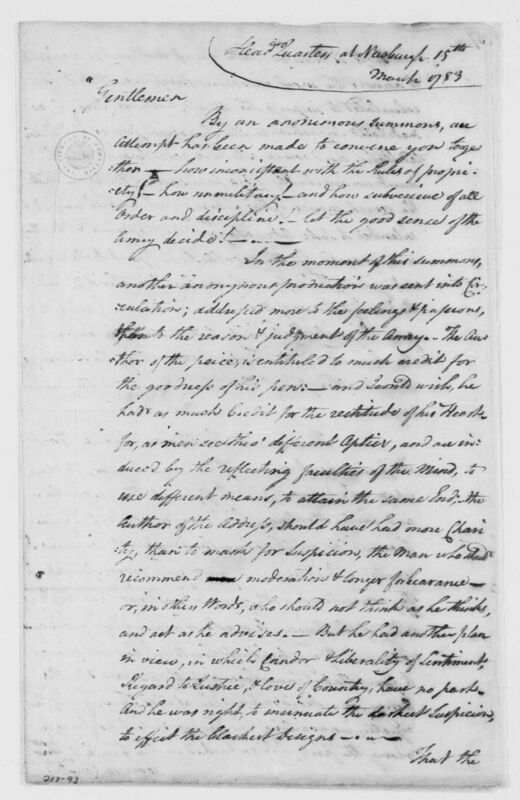 According to Ellis, Washington fumbled a little in reading the opening words of this letter. He took out a pair of spectacles. With this simple gesture, the wiping of a pair of spectacles, and his own pledge of dedication to the fledgling nation, Washington ended the Newburgh Conspiracy. In that moment he demonstrated both the strength of a Founding Father, and the psychological wiles of a Founding Mother…guilt included. In The Quartet, Ellis confirms Washington’s civic virtue, his lack of personal ambition, and his modesty. He portrays Washington as without peer. Four years after the Newburgh incident, Washington presided over the Constitutional Convention. When he was elected president, he received the support of each of the 69 participating electors. Ellis reminds us that Washington is a true Founding Father…and a parent who know that guilt works, especially with unruly children!